Nokia Maybe Better if using Android ~ " World Information "
As Nokia's rumored revenue decline. Various criticisms of this whack Finnish vendor. 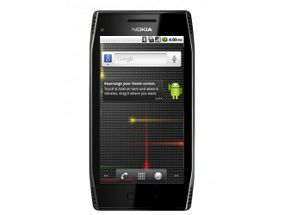 The critics even mentioned the Nokia should choose Windows instead Android Phone 7 (WP7). Nokia shares this week has decreased 15 percent and thus, Nokia will cut its product prices to increase sales. Analysts said the steps taken by Nokia is not surprising. CCS Insight said adjustment underscores the severity of the situation experienced by Nokia in several segments and markets, and emphasized the need to bring the device WP7 and dual sim quickly, in order to sustain the portfolio. Jonathan Leggett, an analyst of mobile phone comparison site Top10.com of expression even further. He said the prediction that Nokia continues to weaken it is not surprising. And this is a proof how comprehensive mobile phone makers competing to outperform each other in high-end handset market. "Nokia seems increasingly out of date. I wish Nokia would prefer Android than WP7? possible that this could lead to a smartphone with great traction in the marketplace, and a step quicker," he said as quoted by the Telegraph, on Thursday (2 / 6 / 2011). According Legget, this option is still better than choosing WP7 is still in process. Moreover, Microsoft is still trying to catch up from Apple and Android. Nokia in this case has a small chance, but can do the best with what is available.